Become a member at Park Church! 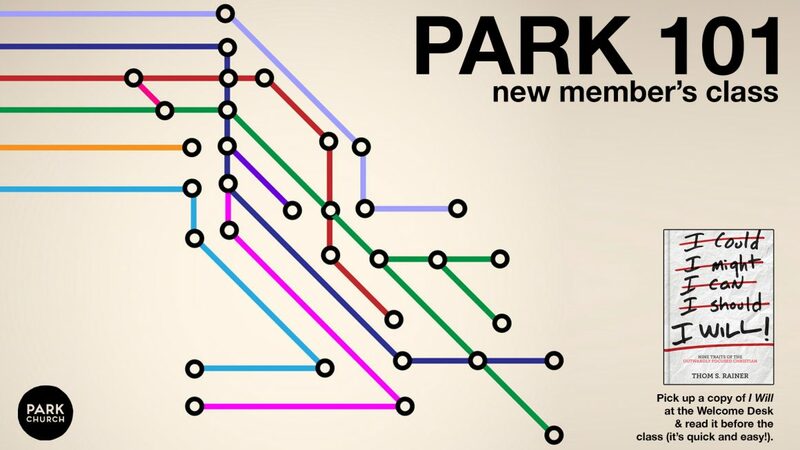 Come to the newly designed Park 101 new member’s class and see where you can connect, go, serve, and grow as you commit to the mission of God here at Park. Wednesday April 10 at 8:00PM. Contact Matt Agresti with any questions. If you plan on attending the class, please RSVP for planning purposes. Pick up a free copy of I Will by Thom Rainer off of the Welcome Desk on Sunday and read it before the class. It’s quick, easy, and will make for a great discussion.